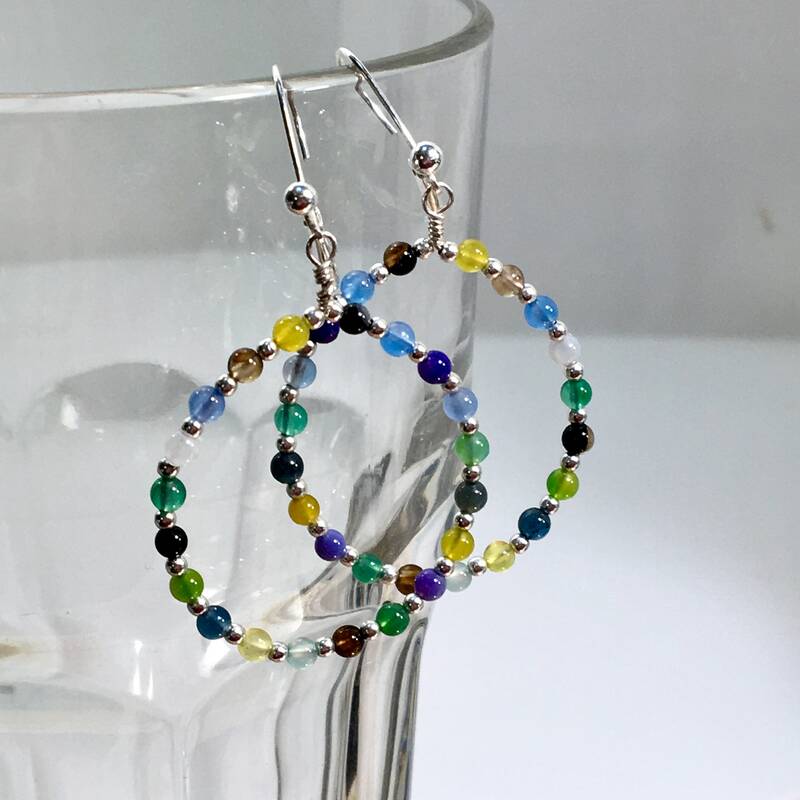 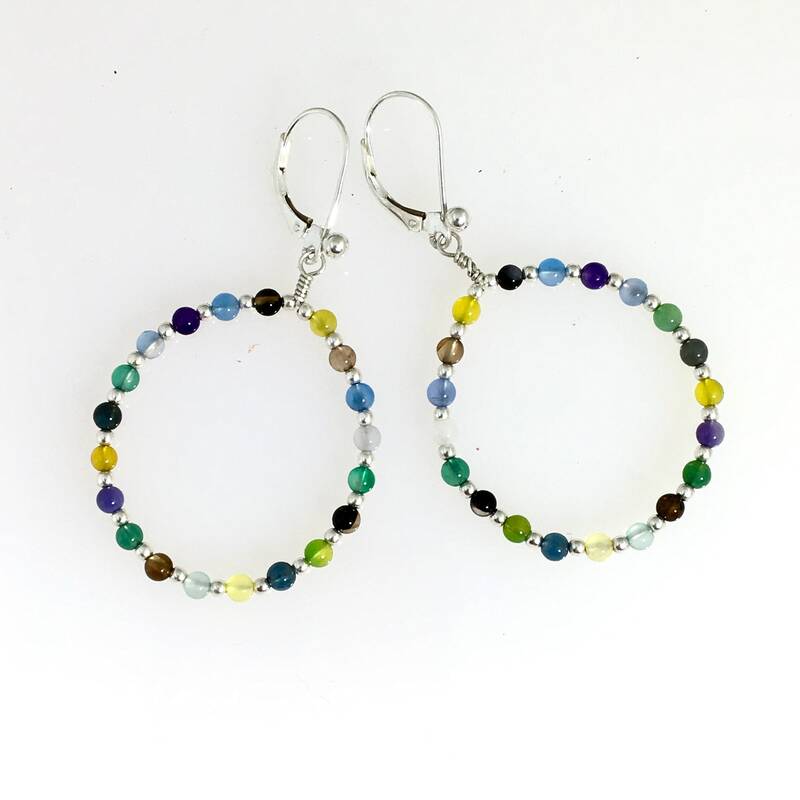 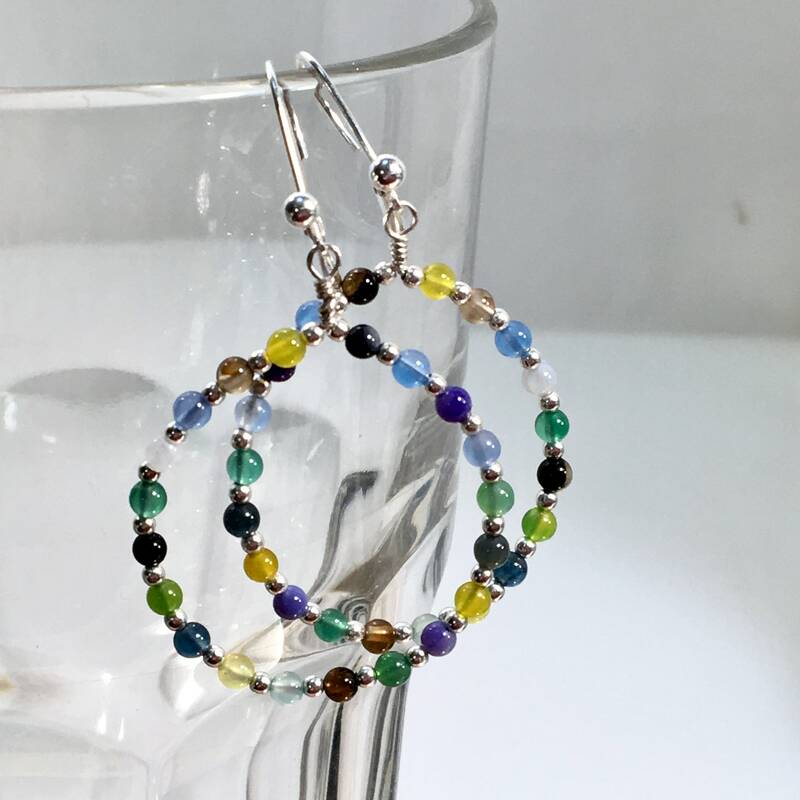 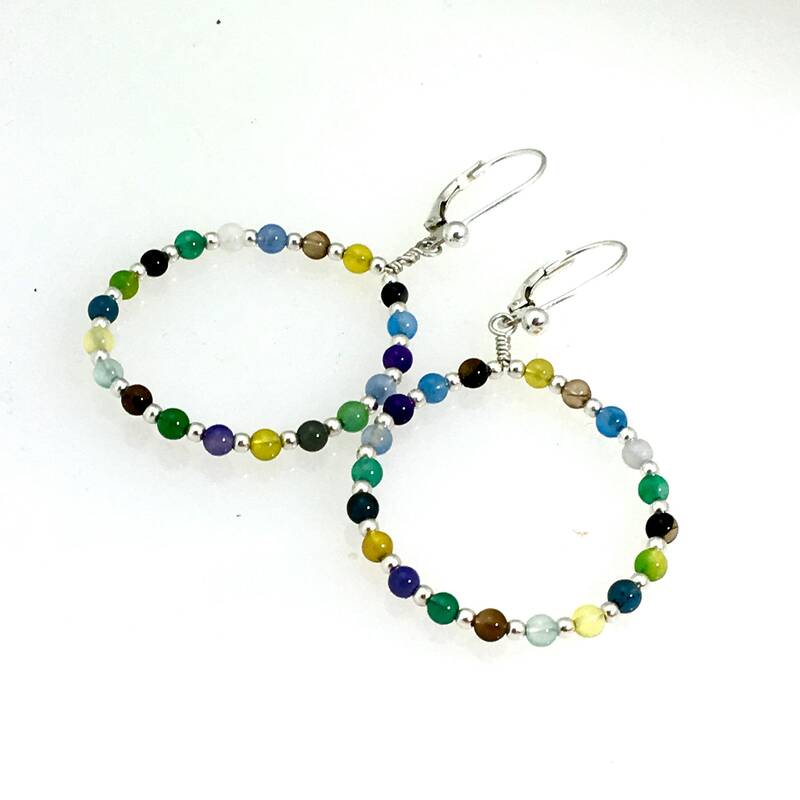 Sterling Silver and colorful agates create original beaded hoops with a fresh Spring palette. 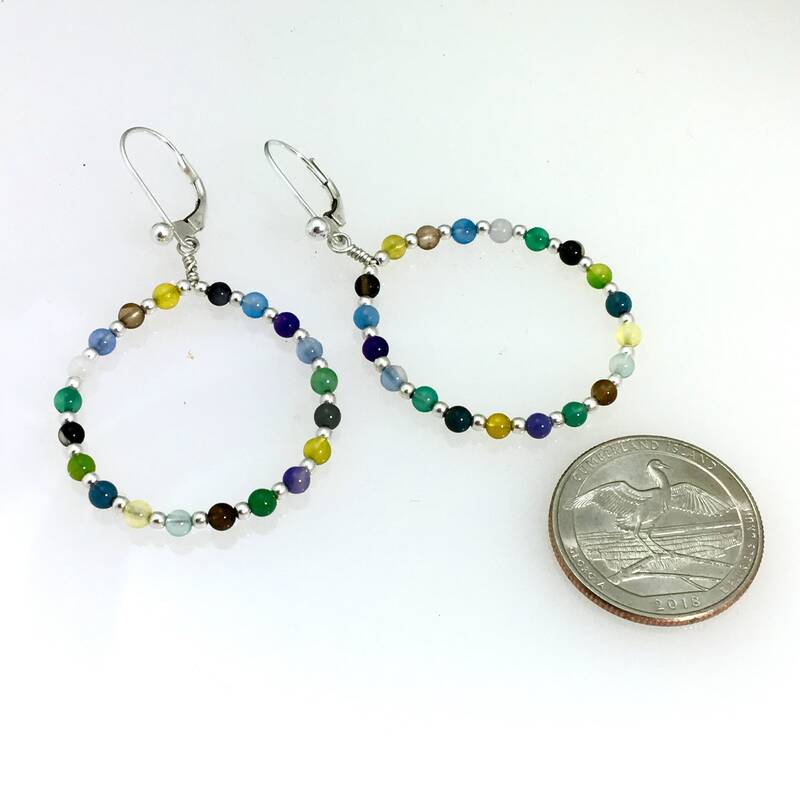 Tiny 2 mm sterling round beads separate each stone bead from the next 3 mm agate. 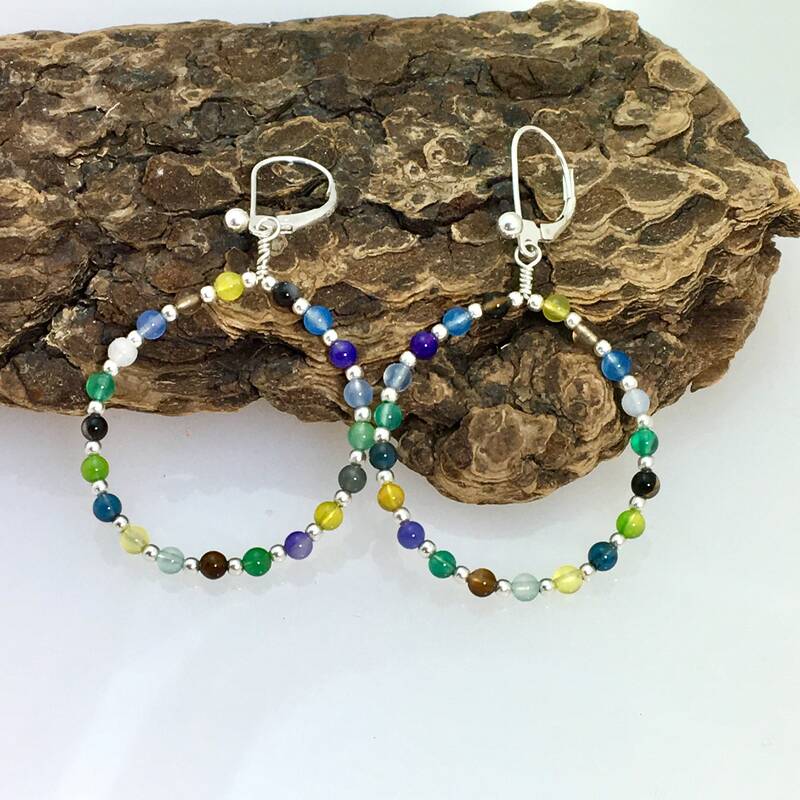 The handmade & beaded sterling silver hoops dangle from latching sterling ear wires. 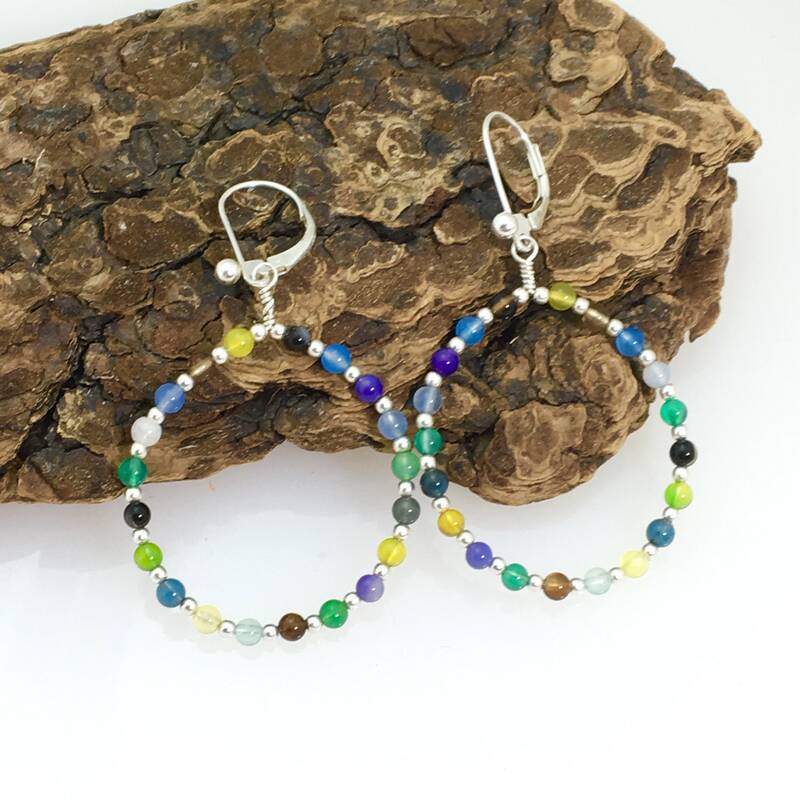 WillOaks Studio earrings are presented on a custom card, wrapped and protected in my signature box, all ready to give or to keep.